Comprehensive Home Health Aide Services for Residents of Manhattan, Brooklyn, Bronx, Queens, Staten Island and Nassau County. 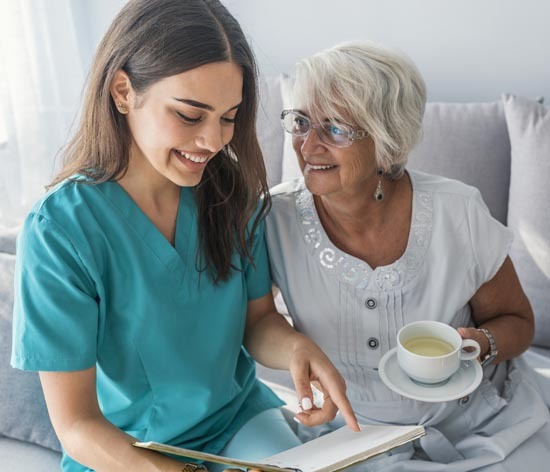 A home health aide provides personal care, home healthcare and other home health supportive services in order to assist the individual to continue living in their home environment when there are disruptions due to illness or disability. The home health aide is under the direct supervision of the David York Agency’s registered nurse. All our home health aides have successfully completed a New York State Department of Education approved home health aide training program as demonstrated by a valid Home Health Aide Certificate. They also undergo regular in-service training on site at our agency. This is comprised of 12 hours per year at our training center in order to keep their certificates current and abreast of the latest policies and procedures. At David York Home Healthcare Agency, extraordinary service is what sets us apart from other companies who provide in home health care services. Whatever your care needs, we are there for you, always striving to exceed your expectations. We provide our home care, senior care, dementia care and specialized in-home care services throughout the New York metro area, including Manhattan, Brooklyn, the Bronx, Queens, Staten Island, Pelham Parkway, Forest Hills, Riverdale, Jamaica Estates, Bay Ridge, Brooklyn Heights, Bayside, Todt Hill, Briarwood and Nassau County. For a complete list of areas where we provide in-home care and support services for seniors, elderly adults and people of all ages, please visit our Service Areas page. Making the decision about in-home care for a loved one is never easy, but finding the right answers can help you feel more comfortable with the options available and confident in your final decision. That’s why David York Home Healthcare Agency provides prospective clients and their families with a complimentary, no obligation in home care needs assessment. In our meeting, we will thoroughly discuss your care needs and work with you or your loved one to determine how best to meet your requirements. After evaluating your home care goals we will have a better understanding of your loved ones physical, emotional and cognitive needs and will work with you to create a personalized plan of care. At David York Home Healthcare Agency, extraordinary service is what sets us apart from other companies who provide in-home care services. Whatever your care needs, we are there for you, always striving to exceed your expectations.